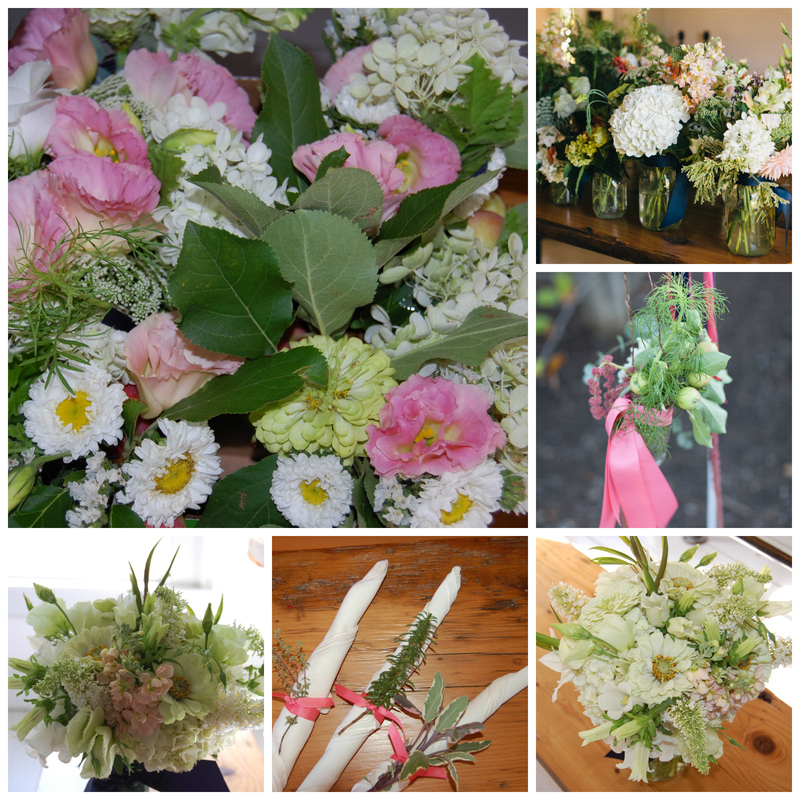 Wedding flowers do not have to be fussy, expensive or structured to be beautiful. Flowers are amazing, just let them be the star! 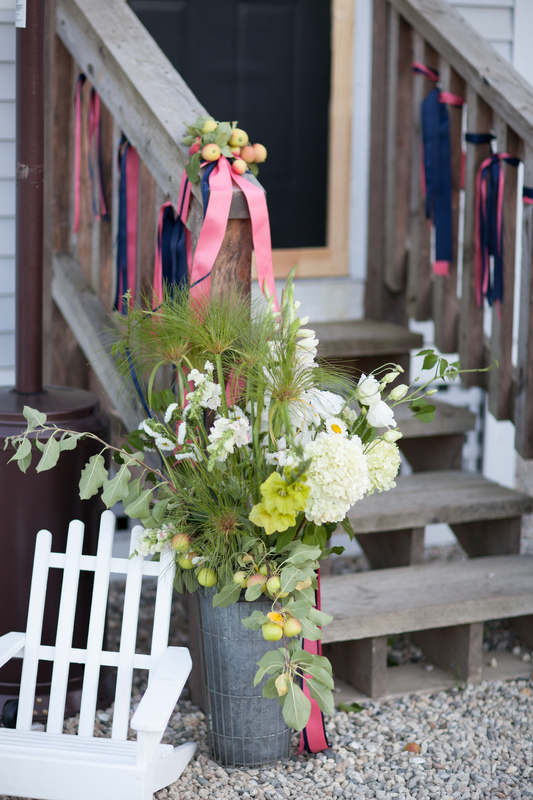 Here are some photos of the flowers and décor from a barn wedding I did in Maine in August. Here are the flowers in the raw. The tent was filled with flowers, it smelled so fresh and clean. The flower girl was so cute!! 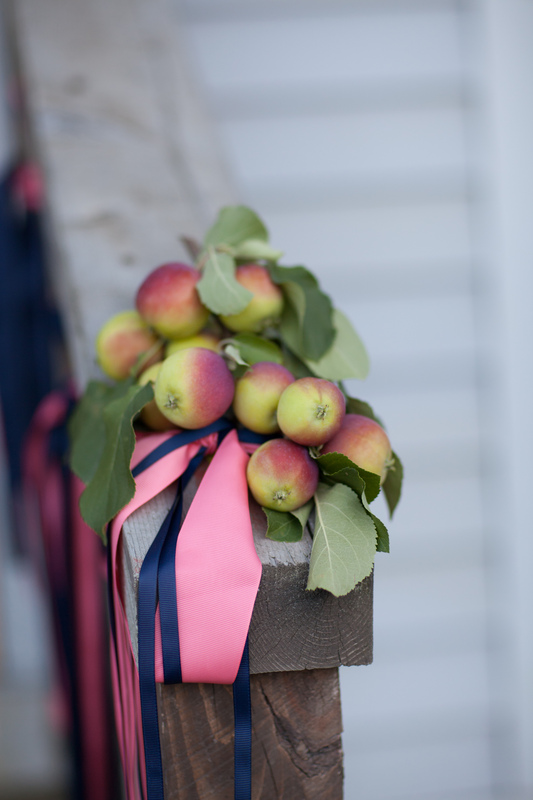 I just love the way these crab apples looked tire to the railing. This was the back door…imagine what the front looked like! 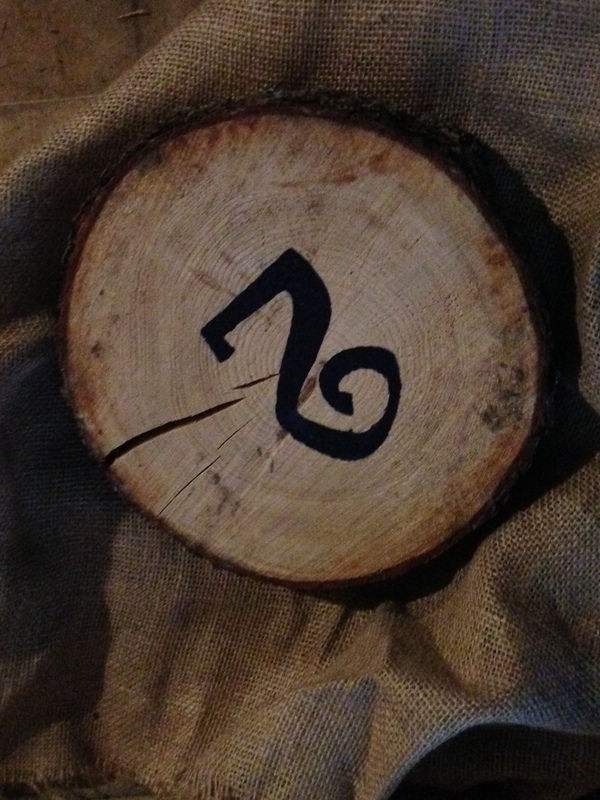 Here is one of the table numbers the bride’s father did the numbers, on these wood slices I commissioned. 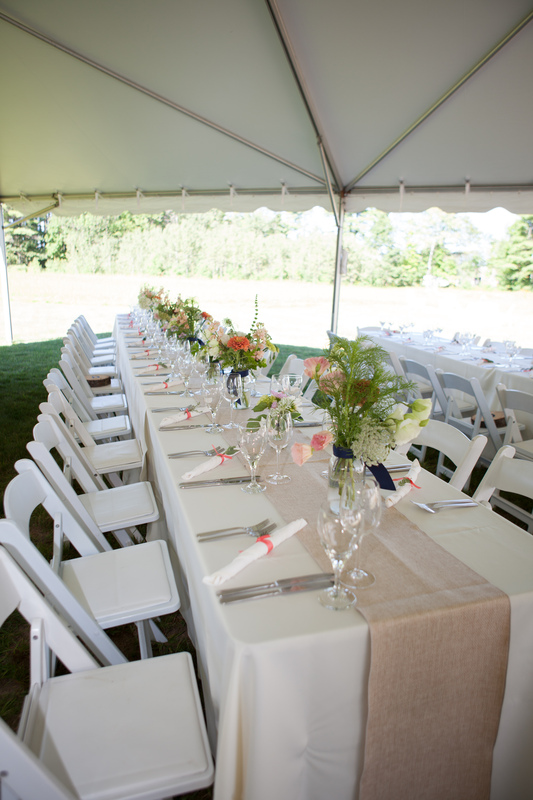 The burlap runners were just the right touch to tone down the formality of the all white tables, and the mason jars added a casual nod to farm life. 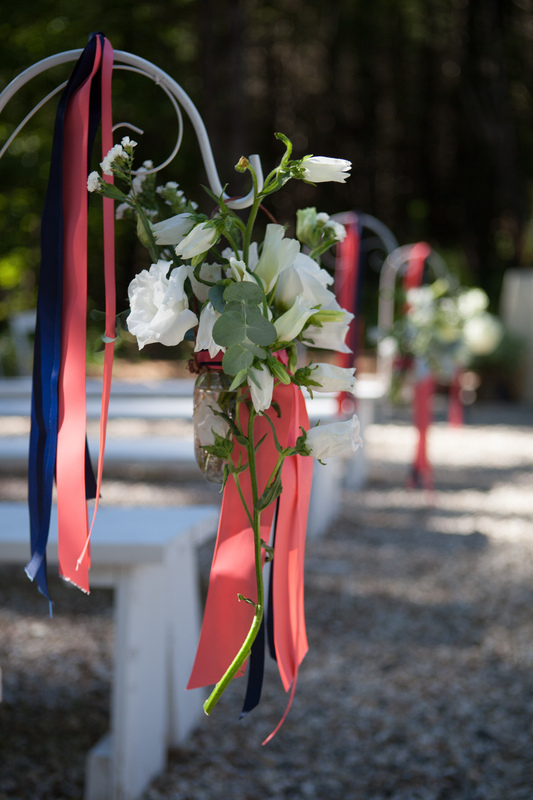 The ceremony was lined by these loose hanging arrangements. Below are collages I made with photos taken by my co-worker Anne Sowles, isn’t she amazing? Clockwise: 1. Maine of honor’s bouquet, 2. Smallest of the mason jars for the tables, 3. Ceremony flowers, 4.More napkins, 5. boutonnieres, 6. 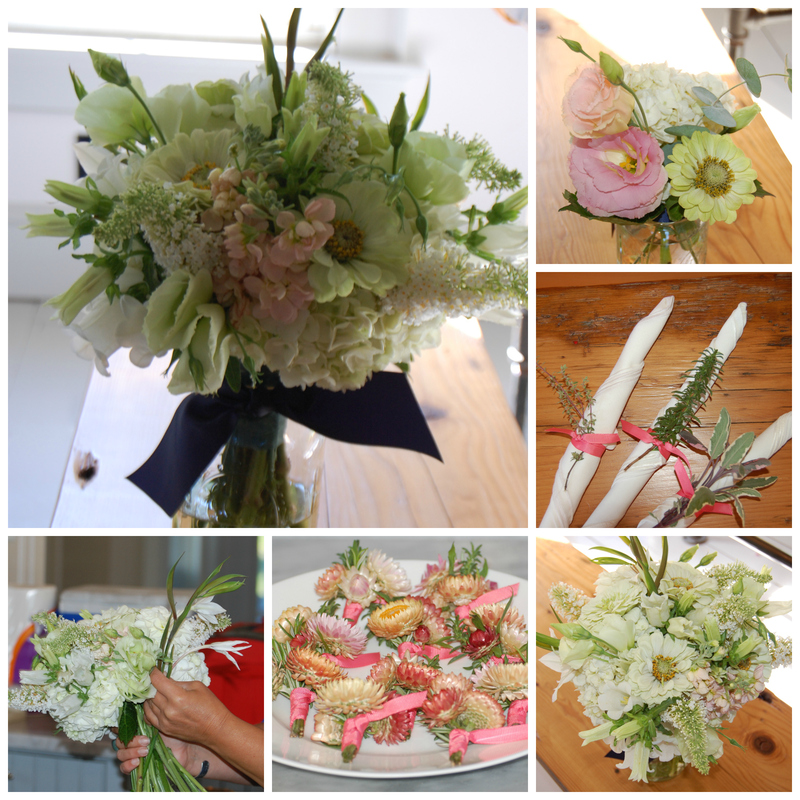 The making of the bridal Bouquet. 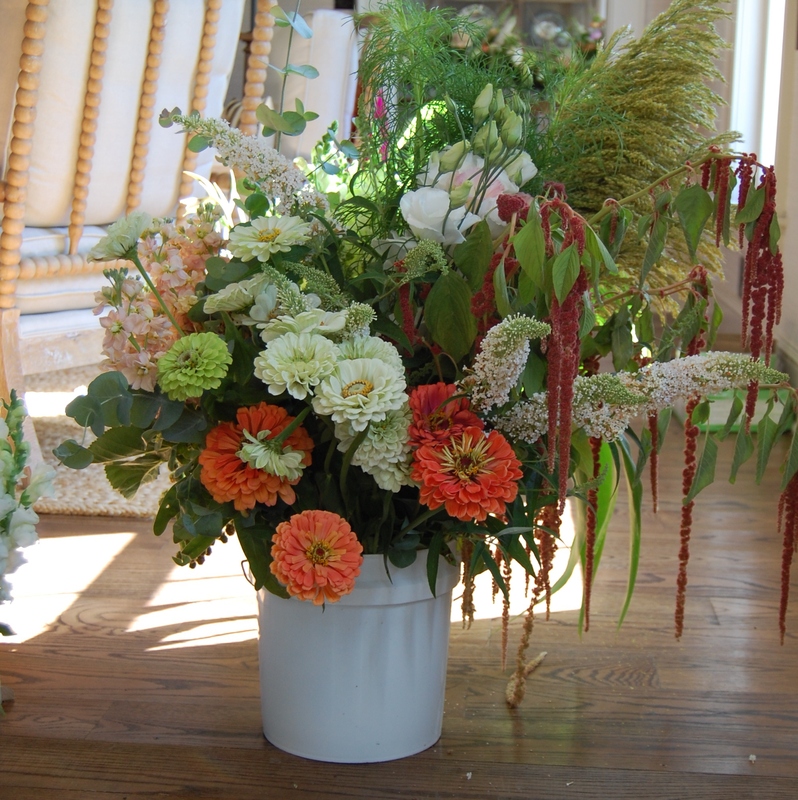 I think this shows you what can be done with less than $2,000 in flowers. 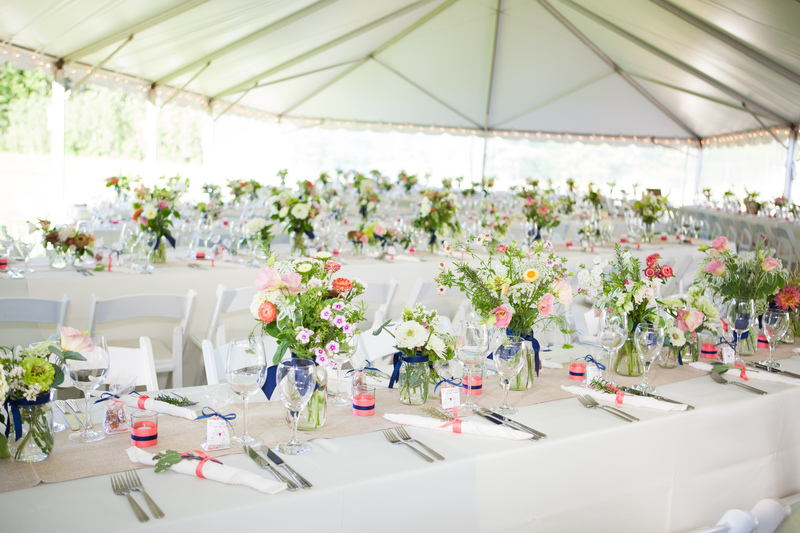 That sounds like a lot, but we had over 200 arrangements on the tables, we had hanging arrangements lining the path of the ceremony & to the barn and tent, we did the bridal flowers, and several large arrangements too! 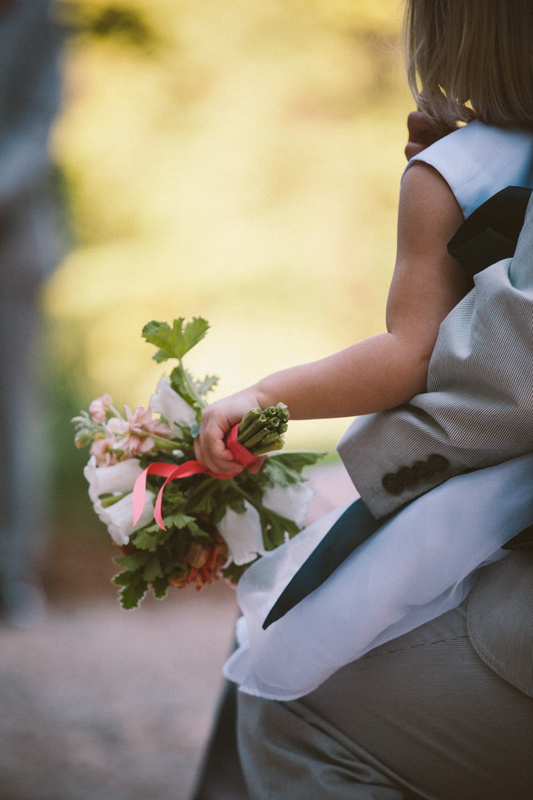 If you have a wedding in the near future I would love to hear about it! Let me know you what you think of this post by liking it or commenting. If you are not already a member of the Celia Bedilia Club please add your email to the follow box and join us every week or so, as we navigate the world of design & events. These flowers are just amazing!!! Simply amazing! You have such a wonderful talent!